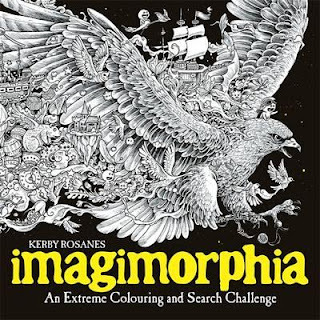 Colour+: Imagimorphia - the Amazing Kerby! When Kerby brought out Animorphia last year it was like we'd all been hit! 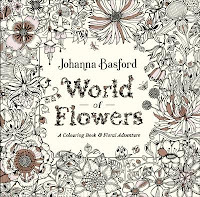 Here was a colouring book so vastly different to Johanna's and Millie's books. 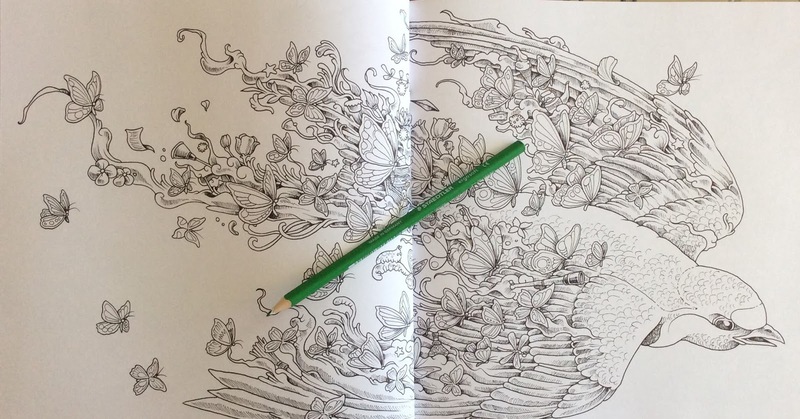 For some of us it was the first time we'd coloured doodles. 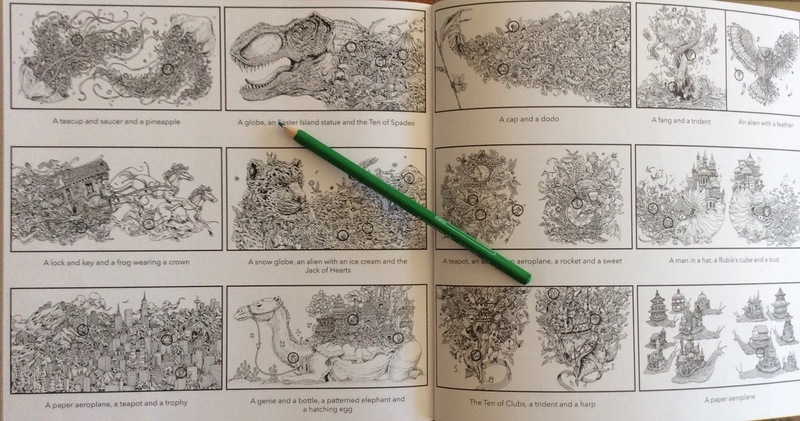 Now that we're old hands at doodling, how does the follow-up book measure up? You can see a recent post about releases from Kerby this year - here. 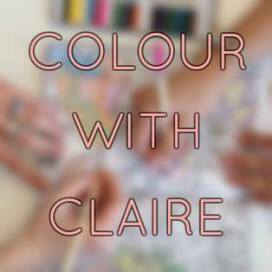 Who will love it - those who look forward to anything new from Kerby, those who like colouring doodles, and those who like colouring strong, bold, imaginative images. Comment: I admire Kerby's drawing. It's strong and interesting. Doodles, I'm not so sure about. Uncommitted I suppose! 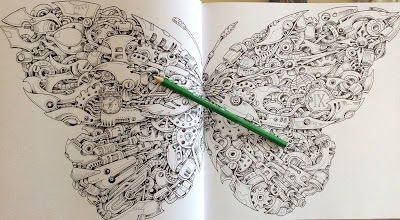 I found Animorphia really detailed when it came to the doodles. I'm pleased to see that this book has fewer spreads crowded with doodles. The broader themes covered in this book are a plus too. There are still plenty of creatures but I do like the landscapes. I think Imagimorphia is a more confident, assured and balanced book. 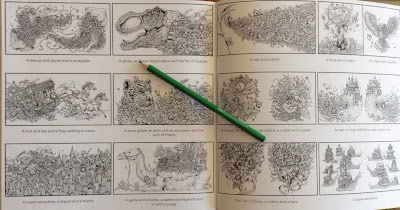 Kerby's third book on mythical creatures will probably be even more fun. - there are lots of different themes - landscapes, creatures, robots, music. - there is still plenty of humour to be found in the drawings. - the line length is medium throughout. - some images are very detailed - the train, eagle, panda, castles. 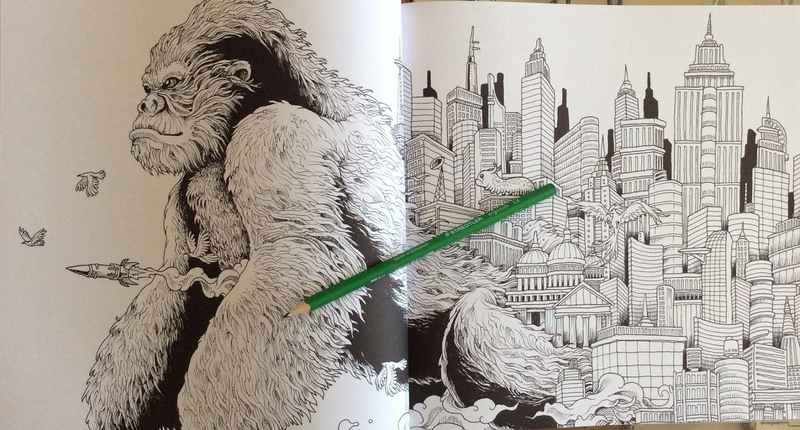 - other images are much easier to approach like the balloons I coloured above, the gorilla (King Kong maybe?) and the snails. 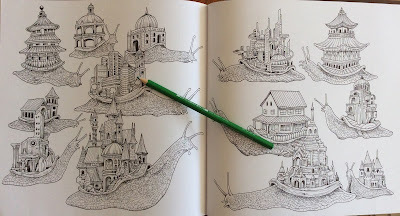 - there are just two instances where words ask you to add your own doodles. 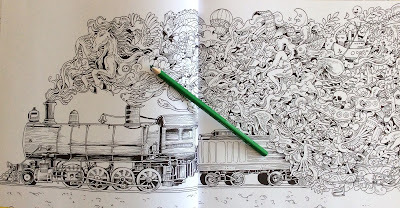 - the doodles relate more closely to the main theme of the image. This gives better continuity to the book. The little alien dudes are still there too! 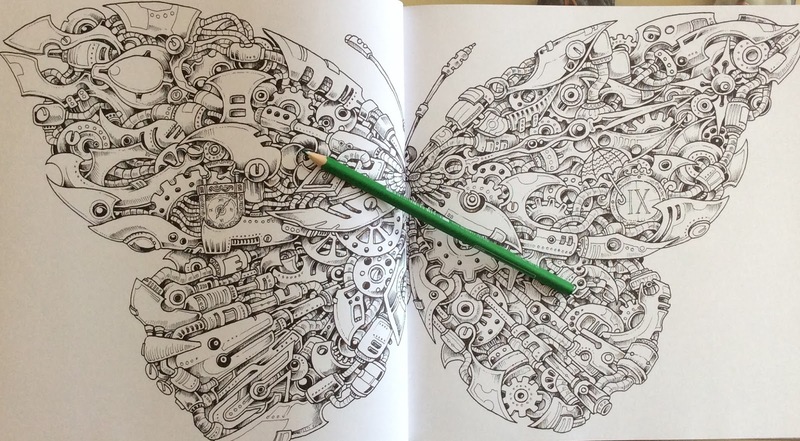 - some images have an industrial look, such as the robots and the butterfly. - several images are simply beautiful like the bird shown below. 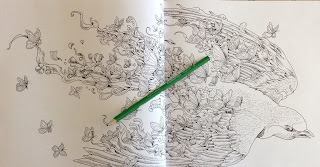 Paper and Layout: Yesterday I came across a video of a Chinese edition of Animorphia where the double spread images were lift out, folded pages. Rather than a book, it was more of a folder with double-sided, double-spread images. What a fantastic idea. Maybe they'll do the same with Imagimorphia eventually. Back to this edition which has the same issue as Animorphia; of double page spreads running into and through the spine of the book. The binding is glued and stitched so will loosen in time to allow you to get into the spine more easily. There are several single page images as well as double page spreads. The paper is good average. Pencils will be okay and water based pens may give some shadowing so just use light touches. Test them on an unobtrusive page first. 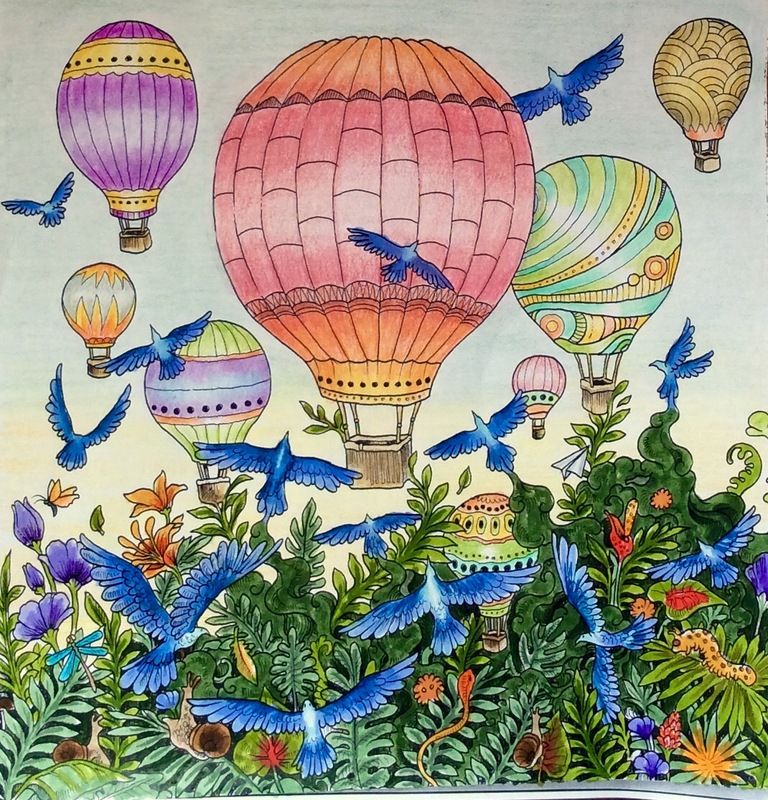 The back section of the book has three pages of hidden objects for you to find in the images. There are some cool items to look for - an Easter Island statue, Munch's The Scream, Rodin's the Thinker. This is followed by an index of the images showing where the hidden objects are to be found.